Pneumococcal lobar pneumonia is most prevalent during the winter months, but can occur at any time. Those most commonly and seriously affected by the disease are children and the elderly. 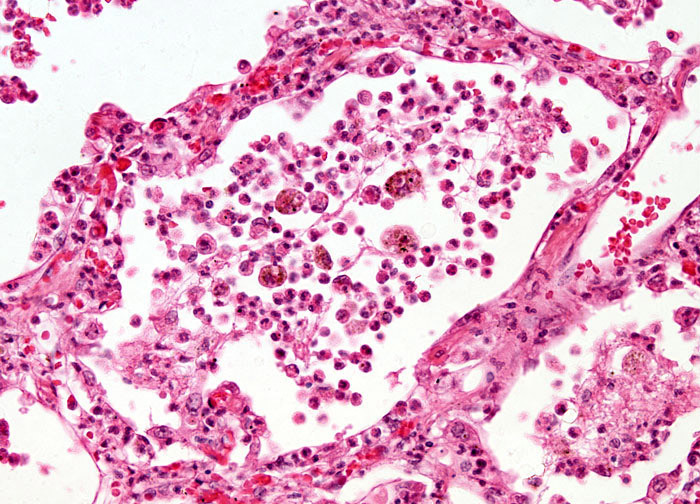 The presence of pneumococci does not always result in the development of pneumonia, some studies indicating that as many as one-fourth of healthy individuals are carriers of the bacteria. People who are at greatest risk of developing pneumonia, which include those at both ends of the age spectrum as well as those with compromised immune systems, are generally advised to receive the pneumococcus vaccine, which currently provides protection from the types of the bacteria that are responsible for about 90 percent of the most severe pneumococcal infections.